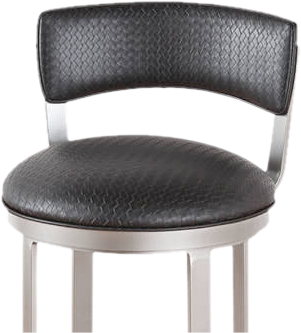 Metal with wood barstools blend two great materials to create great-looking seating for your bar or counter. 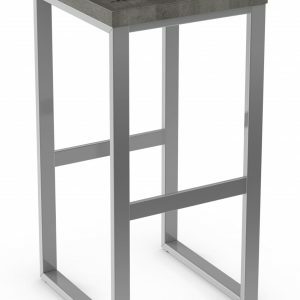 We sell a lot of metal with wood counter height stools as well as those that are taller with a variety of features. 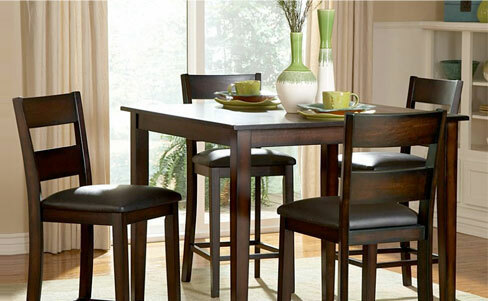 In the metal with wood design, the metal is typically used for the legs, as it’s a highly durable material. The wood most often comes in with the back design, the seat of the stool, or the arms. Of course, there are a great many ways to blend these two materials together so there can be other unique configurations, too, in a variety of colors and finishes. 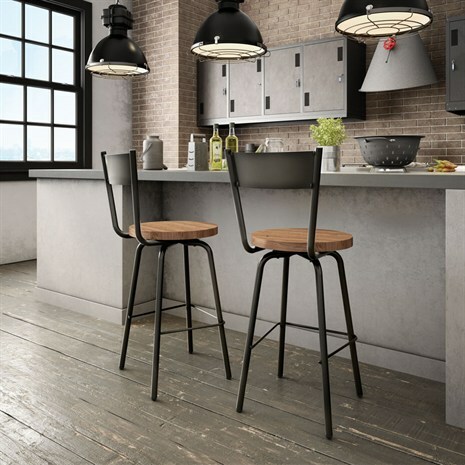 Metal and wood combination barstools are available from Alfa Barstools ranging in 17 or 18-inch vanity heights, counter height stools, bar height, as well as spectator height seating. 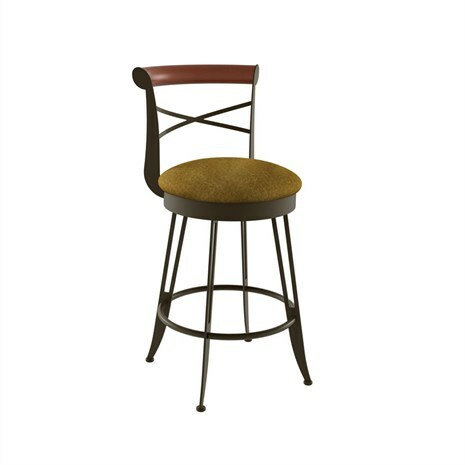 This combination of materials is often seen in modern barstools as well as in other styles, such as in a charming or rustic country decor. 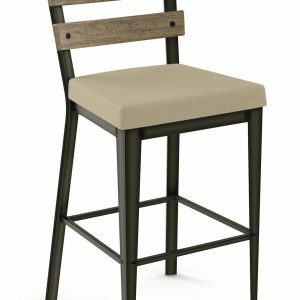 Many of our customers, both residential and commercial, blend metal and wood throughout their décor which ties in really well with their metal with wood barstools. 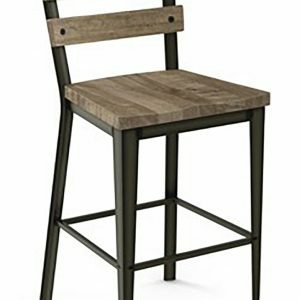 Alfa Barstools sells a variety of brand name barstools, like Amisco, Lisa Furniture, Matrix Imports, Trica Furniture, Douglas, and others. 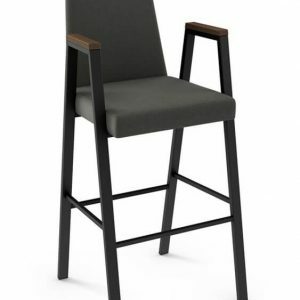 We also sell our own Alfa Designs brand and if you have a blend of metal and wood in mind in particular colors, finishes, with a uniquely blended back or armrest style, we can certainly help. 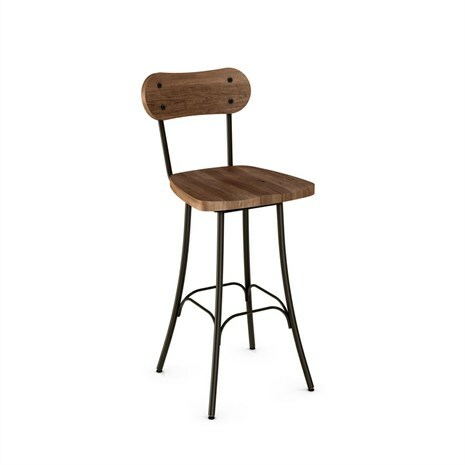 Talk to our designers about your vision for your metal with wood custom barstool and we can talk finish, wood type, height, and other features. Do you want a wooden seat or a padded seat? 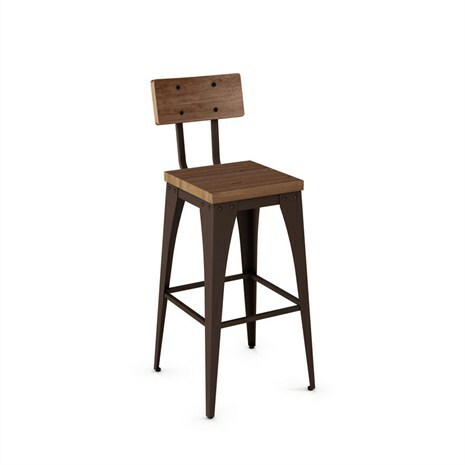 How tall do you want your stools to be? 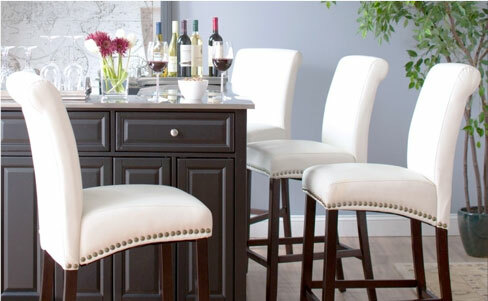 How many barstools will work at your counter, bar, or island? 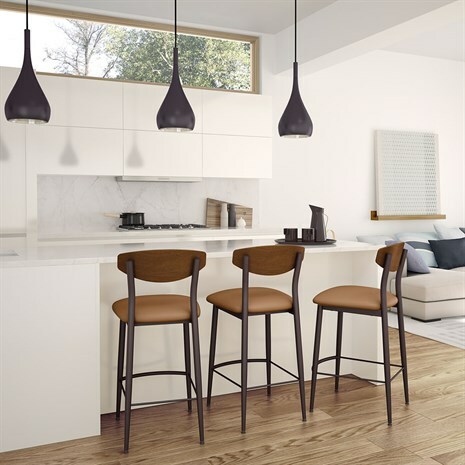 Alfa Barstools works with many residential clients as well as designers and commercial clients with varying style requirements. Another benefit to working with us is price. Because of our long history and many industry connections as well as our volumes, we help our customers save up to 40 or even 50% off retail pricing. And you can make an appointment to visit us in our Lauderhill, FL furniture warehouse or we can ship your barstools directly to you. 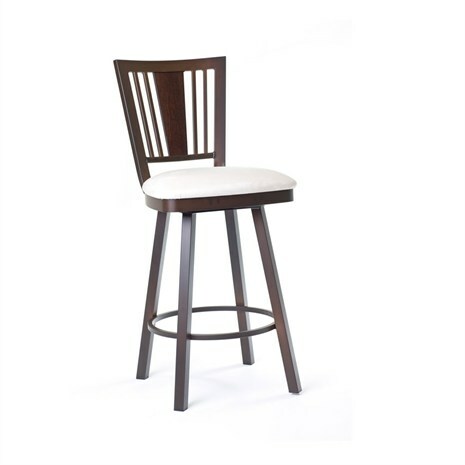 Do you see what you want in our online barstool catalog? If so, placing an order is easy through our self-guided process. Want to talk to one of us before placing your order? 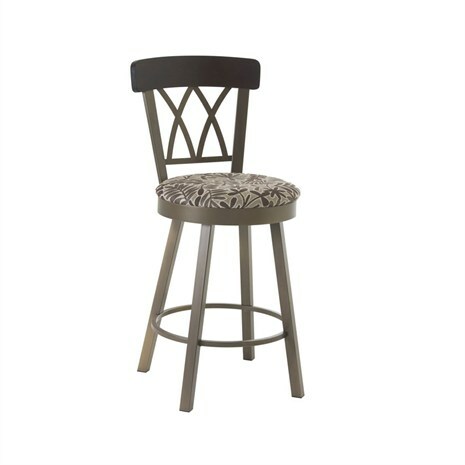 Or, do you want custom wood with metal barstools? We would be happy to work with you.